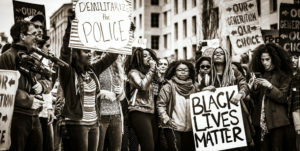 CITY OF RIVIERA BEACH, FL – Councilwoman KaShamba Miller-Anderson and candidate Dr. Julie Botel of the City of Riviera Beach gained endorsements from Palm Beach County Police Benevolent Association (PBA), the same Police Union, who supported the killing of Corey Jones in cold blood. It’s been almost most three years since Corey Jones broke down on the side of the road, waiting for help to arrive when undercover Officer Raja showed up. Before long Officer Raja brutally opened fire on him killing him. Many reports showed that the officer lied, even when he called 911 after he murdered Corey Jones. 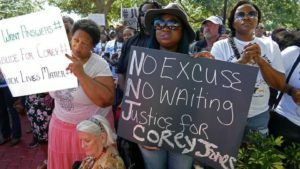 After all the evidence pointed to Officer Raja for the murder for Corey Jones, a drummer, the Police Union, Palm Beach County Benevolent Association (PBA) stood behind their officer in the killing of another black man. 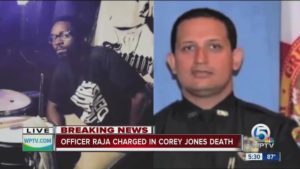 Presently, the Union is still representing Officer Raja in hope to give him a pass for murdering Corey Jones, a black man in cold blood, while he ran for his life. Just this week, Councilwoman KaShamba Miller-Anderson and candidate for council, Dr. Julie Botel, the two people who support the divisiveness of the City of Riviera Beach, after the firing of the former City Manager. These two candidates have now secured support from the same Union, PBA. 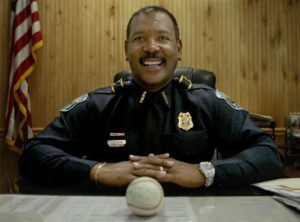 This is the same Union, who conveniently held and gained a no-confidence vote on the soon to be retired Chief Clarence Williams, after his 15 years of service in the City of Riviera Beach. By the voting and the attempted ousting of the Chief, endorsement of Officer Raja, and endorsements of Councilwoman KaShamba Miller-Anderson and Dr. Julie Botel, all in a predominately black community, one can conclude that the Palm Beach County Benevolent Association (PBA) does not care about black people. The continued support of Officer Raja, speaks volumes that the Union does not care if an officer shoots one of our children in cold blood, as they will continue to support them. This also begs the question; is this the reason for the attempted ousting of the Chief? Whose secrets in the Union were the Chief was close to? What was he close to discovering? 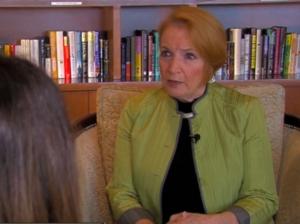 Why then the interest in Councilwoman KaShamba Miller-Anderson and candidate Dr. Julia Botel? 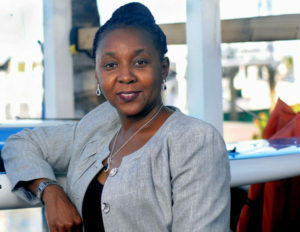 It’s clear to see that Union wants control over the people in the city and when they did not get what they wanted they found another puppet in the Chair of the Riviera Beach City Council and an Assistant Principal within the Palm Beach County School District, KaShamba Miller-Anderson. 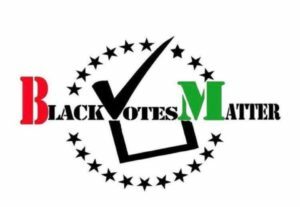 Will Councilwoman KaShamba Miller-Anderson and candidate Dr. Julia Botel allow the Union to do what they want and provide the Union full access to the city of most black citizens? The acceptance of this endorsement says yes. This predominately black community has a lot of growing to do and we need to do it together. Giving a Union full access to our children is not just a risk, but handing our children to be murdered. This is not a risk I am willing to take, as I have young men who live in this city and could have been a Corey Jones. We need to stand for justice. Justice for our children and Corey Jones. Justice for all the young black men and women who have been killed in cold blood. Stand for Justice against politicians like Councilwoman KaShamba Miller-Anderson and candidate Dr. Julie Botel, who are willing to turn a blind eye to injustice and let them know that it’s not okay. KaShamba Miller-Anderson and Dr. Julie Botel are selling our city, people, and children out to the ones who are protecting murderers. Corey Jones could have been you, your son, daughter, brother, sister, family or friend. It’s time for us, the residents need to take a stand. The City of Riviera Beach is moving forward and is a City on the Rise, we must save and protect our children from Councilwoman KaShamba Miller-Anderson, Dr. Julie Botel, and the Palm Beach County Benevolent Association (PBA). Get to the polls and take a stand. Our voices and lives matter, and so does our vote.